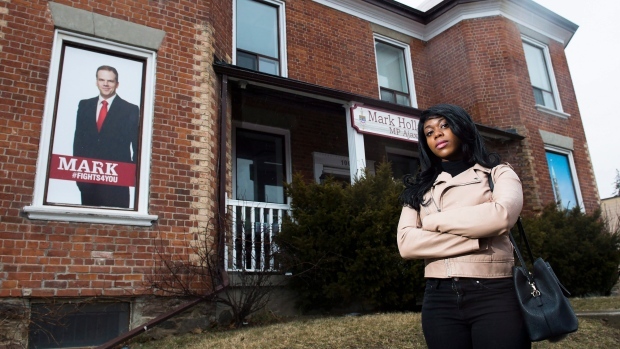 OTTAWA -- Jelisa Phillips was confused when she opened the letter from Service Canada and found not cheque for sickness benefits, but a request for repayment totalling almost $5,000. There was no explanation attached to the invoice -- just the amount. The case highlights the problems that can arise when there is a miscommunication with officials trying to provide help to those who need it, which has led Phillips to asking her local MP and the government to make changes to the EI system to prevent others from a months-long headache like the one she has endured over a piece of paper known as a record of employment. "I've never experienced anything like that in my life," Phillips says. It was in late January 2017 that Phillips went off on sick leave after a few weeks at her job with Capital One. She suffers from anxiety. Companies are legally required to provide a record of employment within five days of a break in earnings, either because the employee has resigned, been fired, or gone on leave due to sickness. 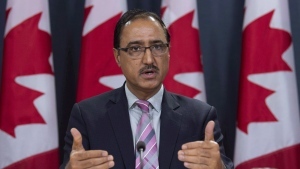 Employment and Social Development Canada, which oversees the EI program, said the government doesn't usually have to take companies to court because employers normally provide the document once an official gets in touch with a reminder about legal obligations. Failing to do provide the record on time could lead to fines of up to $2,000, jail time up to six months, or both, for employers. Phillips says jail might be too harsh a punishment, but "a fine wouldn't hurt anybody." "It would let them know that there is some incentive to do the right thing and hand in records of employment on time," she said. "To avoid all of this -- they (the government) rarely ever penalize employers for failing to provide a record of employment and they should. It's the law." In Phillips case, ESDC received the record of employment on Oct. 18, 2017, almost eight months after her last day of work and more than a month after she applied electronically for sickness benefits on Sept. 7. The reason for the delay is unclear: Messages left at the Toronto office of her employer were not returned. Service Canada called Phillips after she applied because the government didn't have a record of employment on file. Phillips says she was told an interim record of employment would estimate her hours and grant her eligibility for sickness benefits. What Phillips says she wasn't told was that she could be on the hook for repayment if the government's estimate didn't match the official record of employment when it was filed. The government creates about 30,000 of the interim documents annually, a sliver of the up to 10 million official records of employment filed each year. The interim record is, the department says, used "on an exceptional basis" to help EI claimants awaiting an employer-issued record of employment. Employment lawyer Miriam Anbar said it's a misconception that employees need a record of employment to apply for EI. Employees can file an application and then Service Canada can nudge the employer to provide the document. When Capital One filed the record of employment, Phillips was short of the 600 hours needed to qualify for benefits by 58 hours. The repayment bills arrived in the mail totalling $4,920 and it was only after another call with Service Canada that the government issued an explanation for the repayment. "I haven't heard of a case where the (payment) mistake was triggered by the government itself," said employment lawyer Christopher Achkar. "Generally, overpayment happens when an employee themselves doesn't declare the income they actually made." Compounding Phillips's issues was that it didn't appear that her first call with Service Canada was recorded. Phillips recorded her remaining calls with Service Canada to ensure the accuracy of her interactions after she was told that first call wasn't recorded. Phillips is hoping the government ensures all phone calls are recorded, among other changes she hopes will give greater protections to claimants. "When I discovered that they're not recording the calls, but leaving notes on the file, they lost all of my confidence because it's my word against the benefit officer's." February's federal budget pledged an extra $127.7 million over three years, beginning this year, to ease the burden at call centres that handle questions about EI benefits. Last year, a panel of three Liberal MPs issued a report urging their government to overhaul how Service Canada handles phone calls about EI, rather than simply pouring more money into the system. Phillips is hoping ESDC will reverse its decision, but is not expecting the department to reconsider the repayment request as the end of the process.